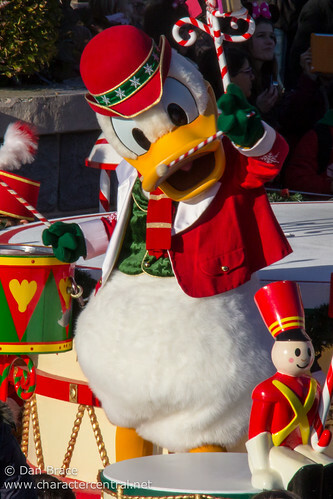 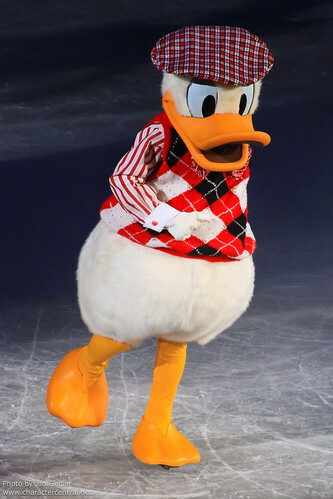 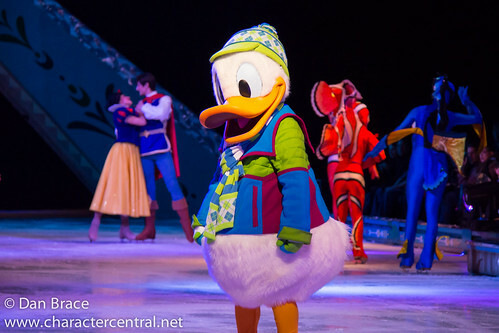 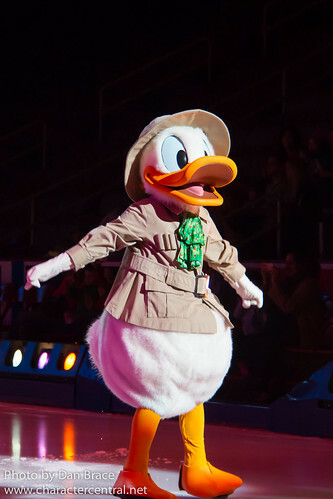 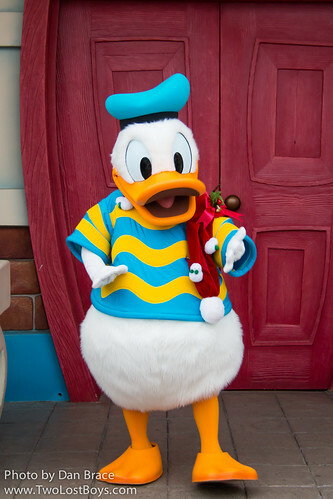 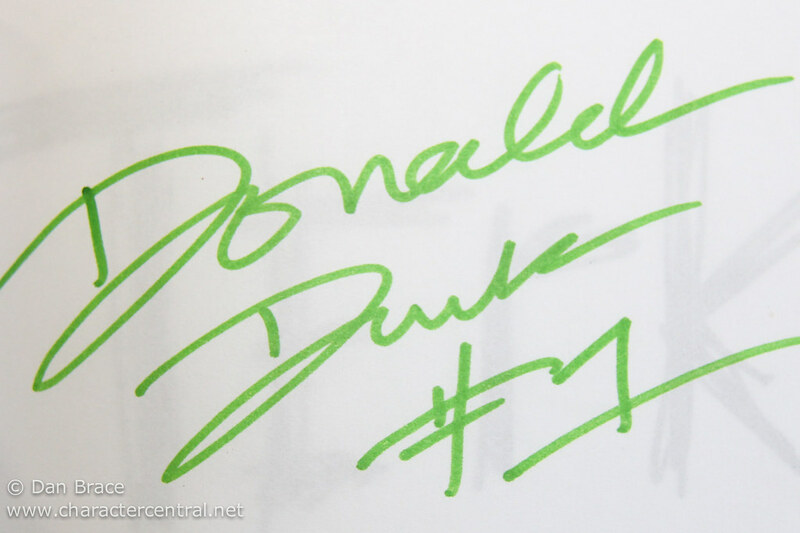 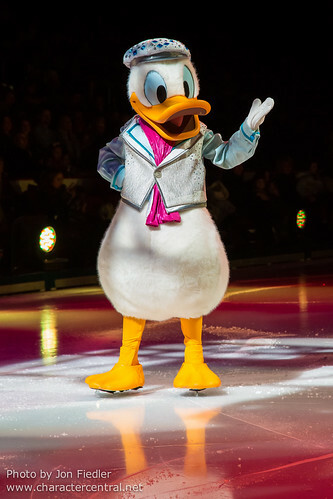 Starring in more roles than his best pal Mickey, Donald Duck is hot tempered but ever lovable. 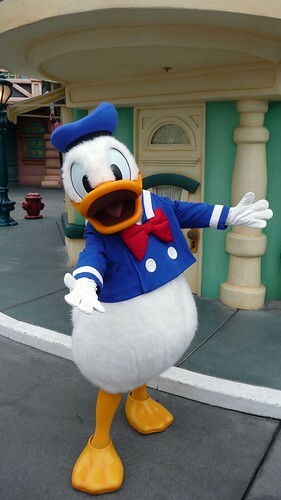 His very human, and often hilarious, frustration with the more irritating side of life has provided entertainment to his fans since his debut in the Silly Symphonies in 1934. 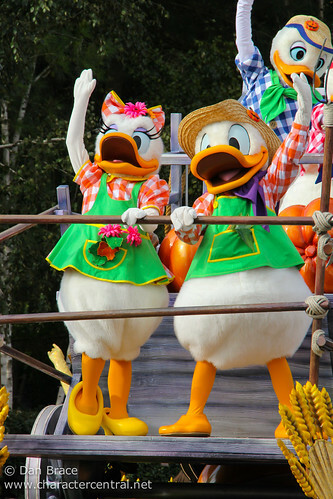 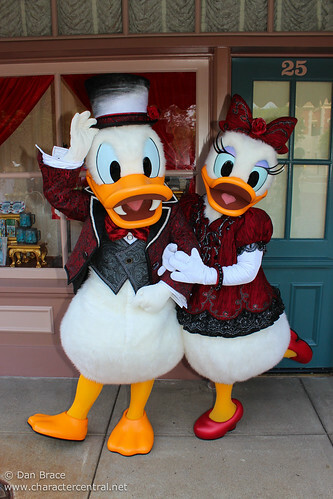 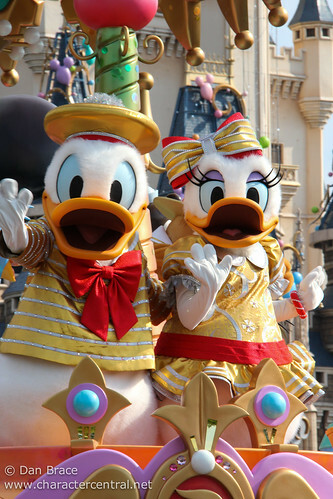 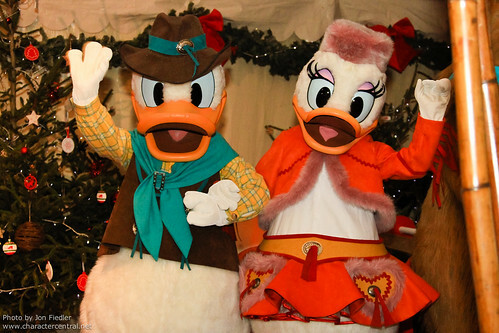 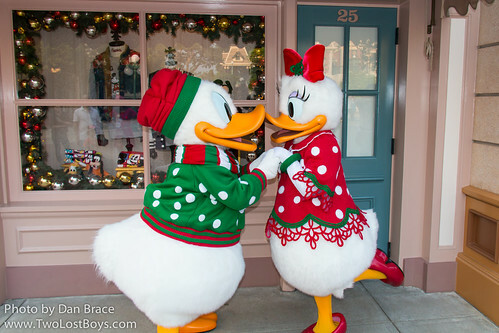 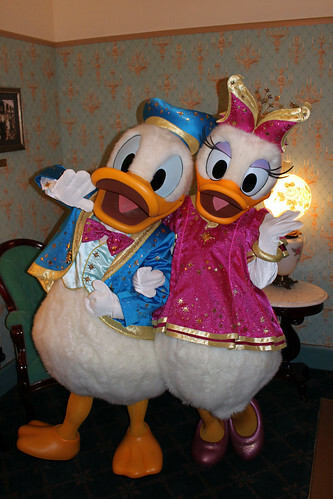 Donald Duck’s ever suffering love interest is Daisy Duck, who along with her short temper, make the perfect match. 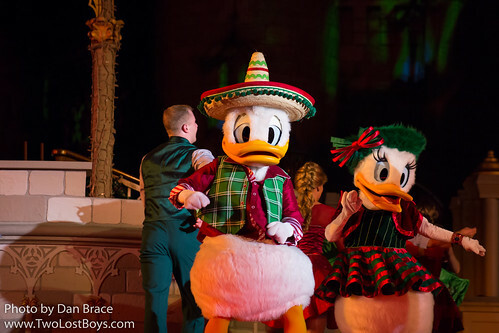 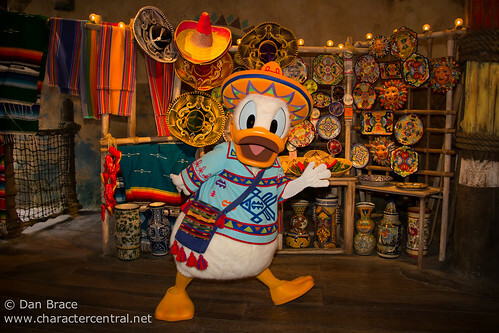 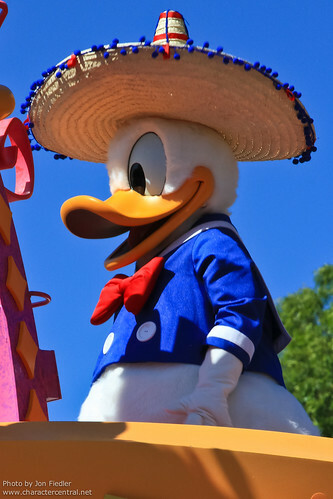 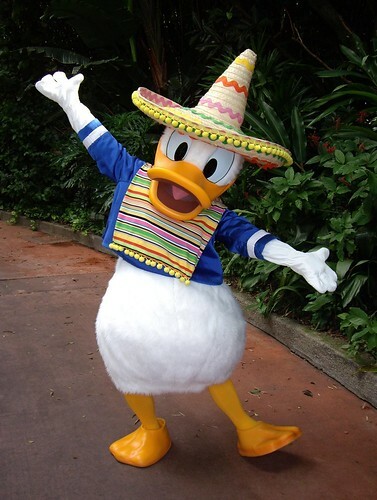 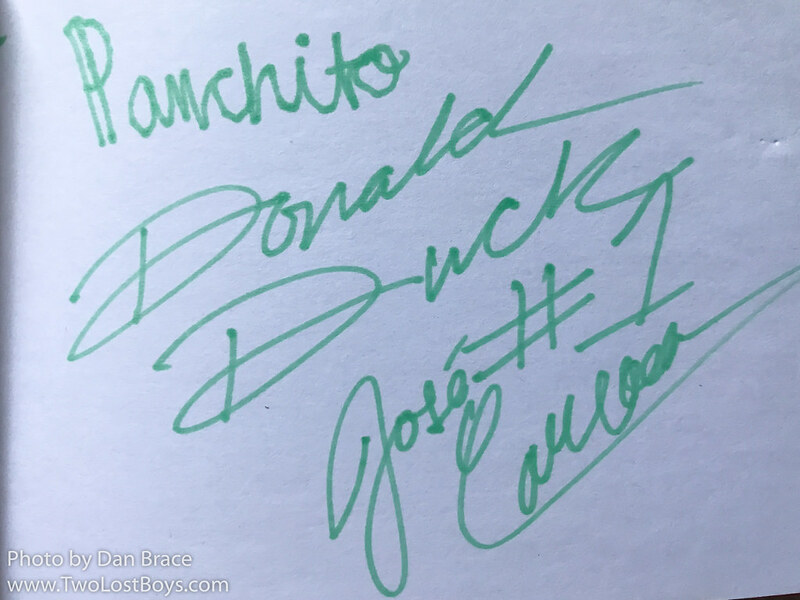 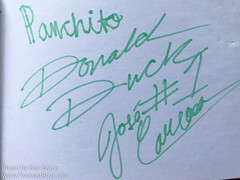 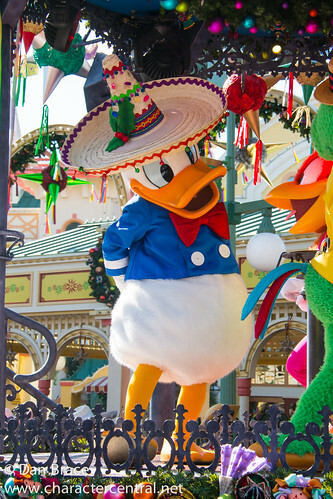 A very keen traveller, Donald is also friends with Jose and Panchito whom he met on his exploits to South America. 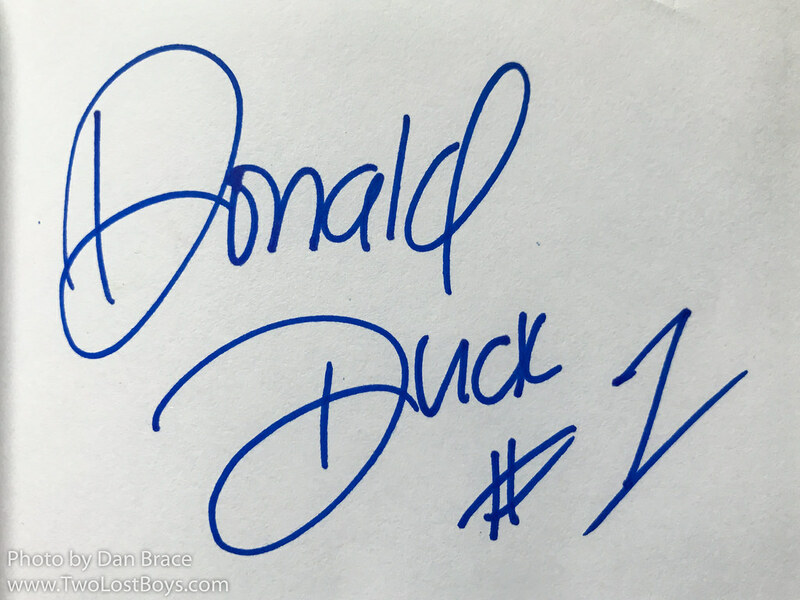 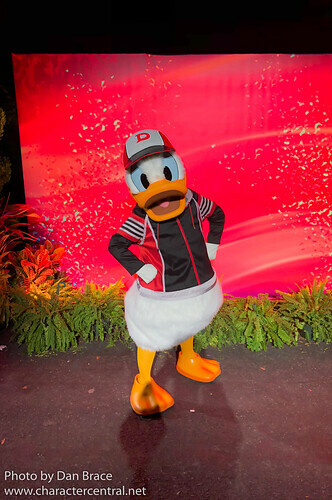 While something very small can make him flip, Donald's down to earth approach to life means he is adored by generations of fans world over. 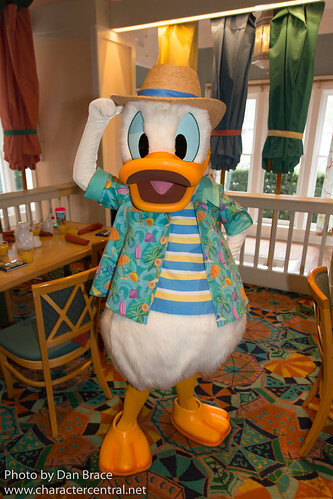 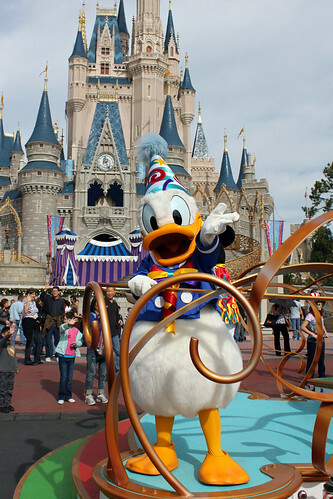 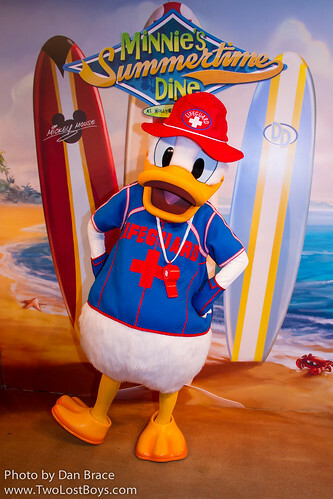 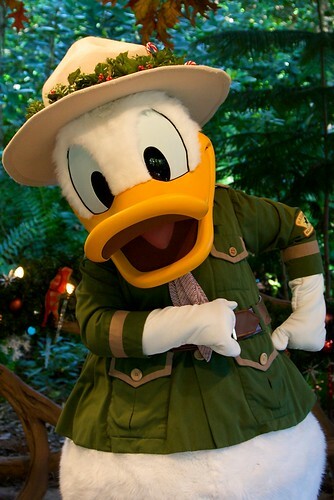 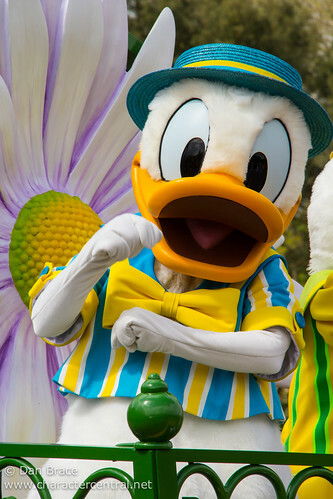 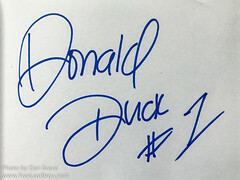 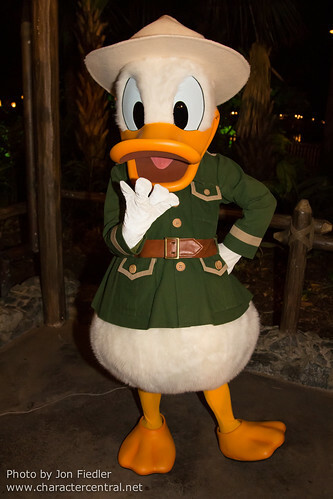 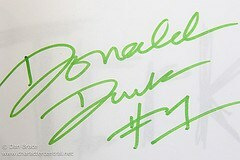 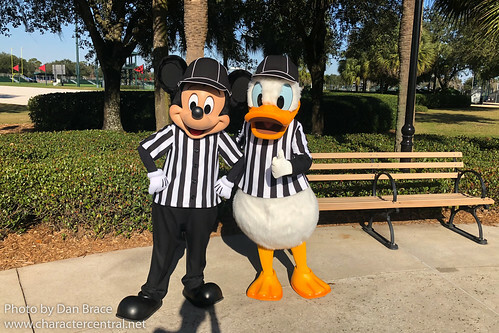 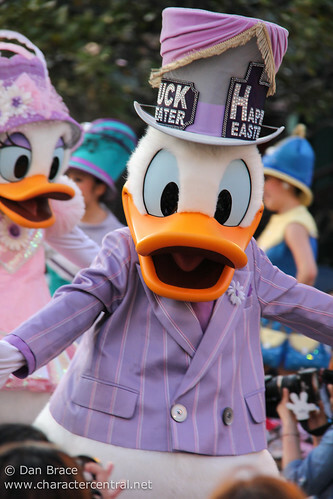 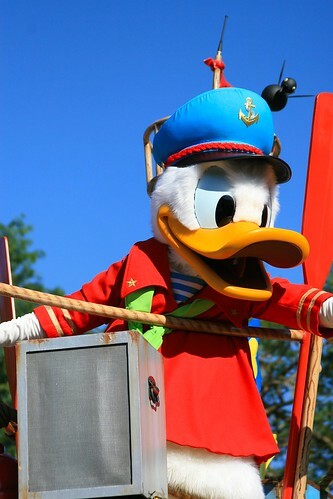 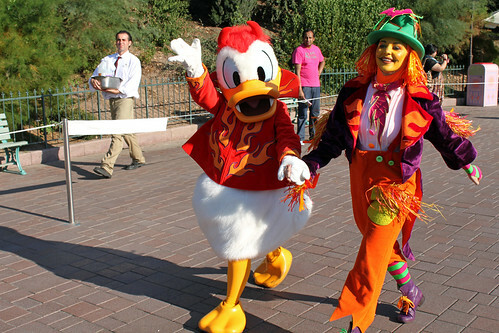 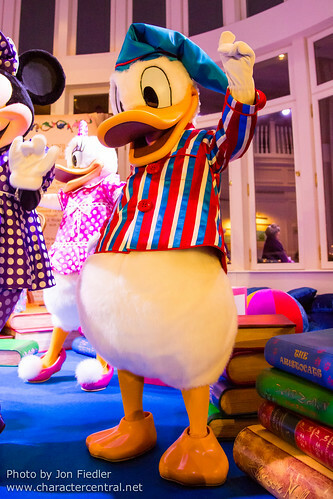 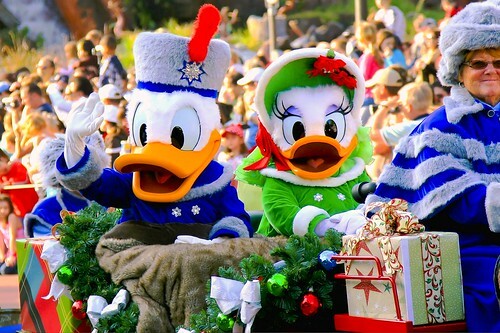 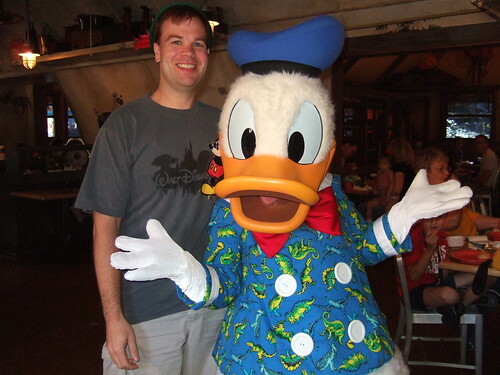 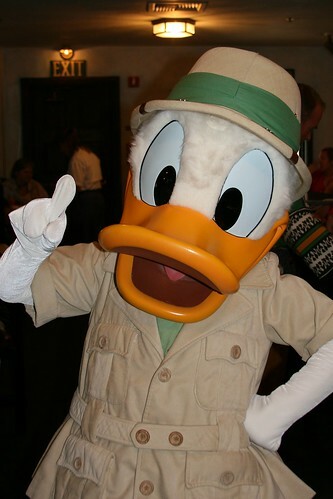 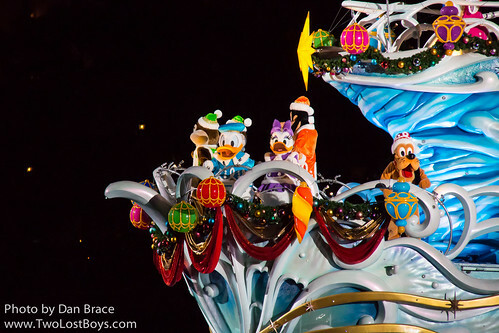 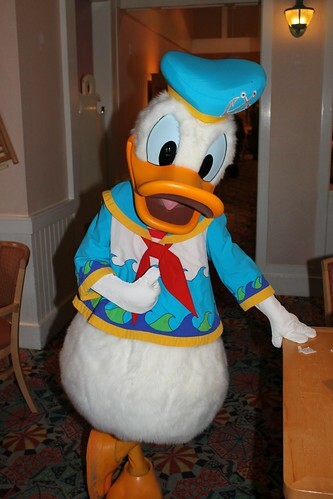 Donald Duck can be found regularly at the Disney Parks. 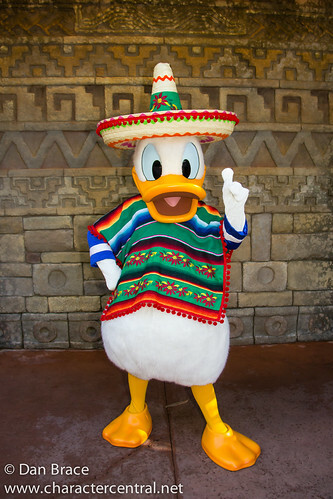 At Walt Disney World he can usually be found hanging out at Mexico in EPCOT and in his explorer outfit in Dinoland USA at Animal Kingdom. 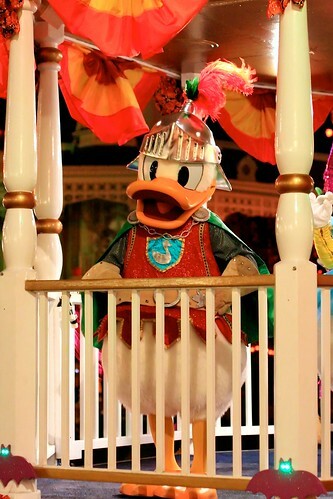 In the Magic Kingdom he is in always at the Silly Sideshow. 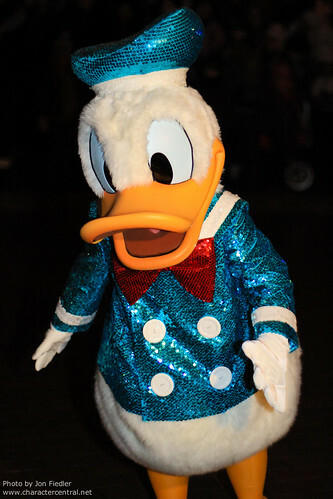 At Hollywood Studios he regularly appears near the front entrance. 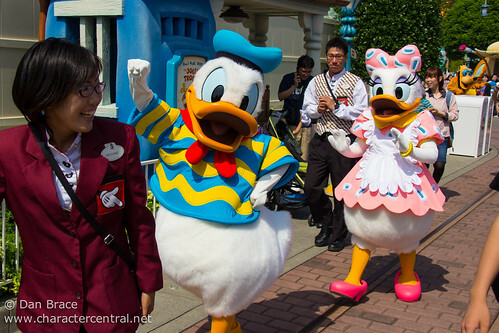 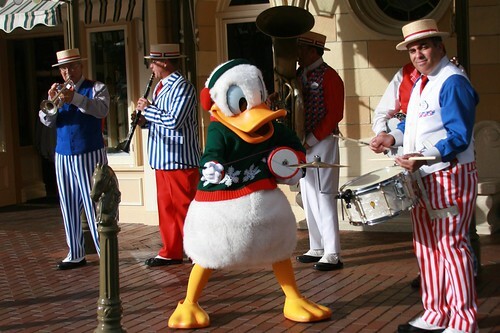 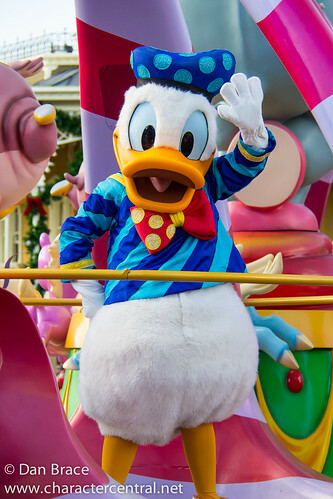 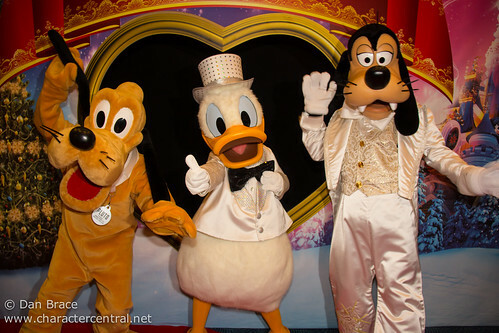 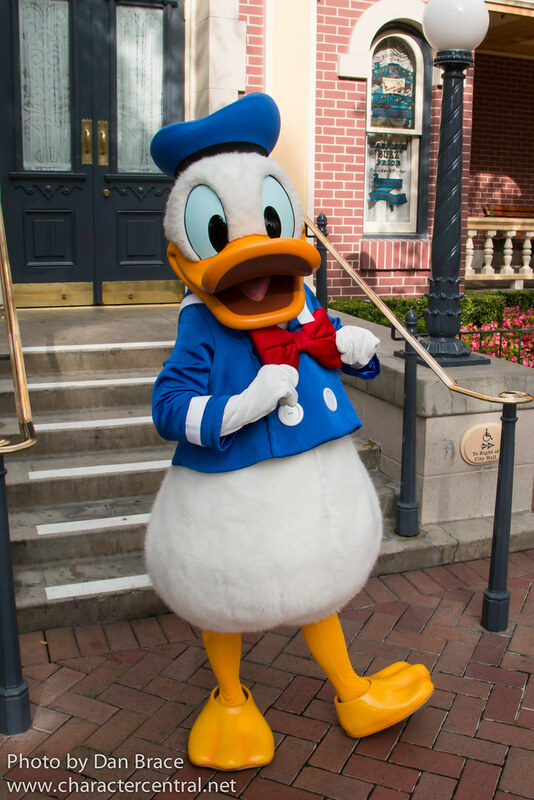 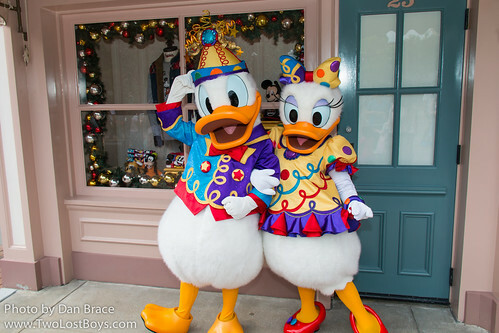 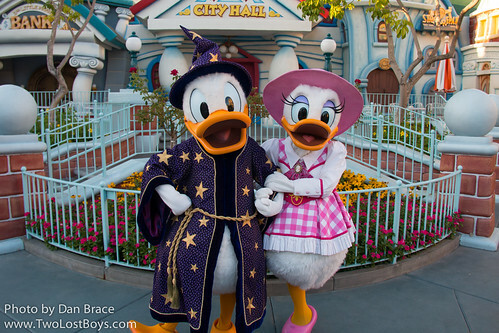 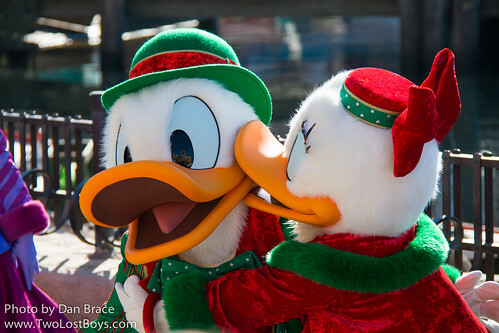 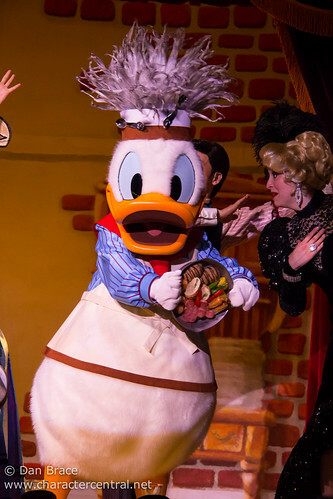 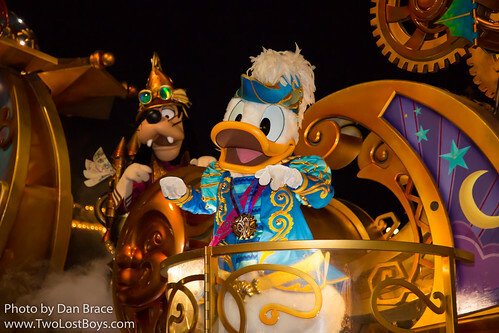 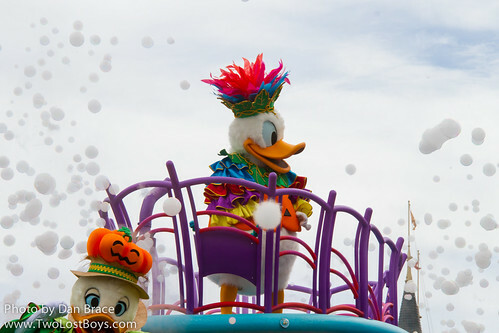 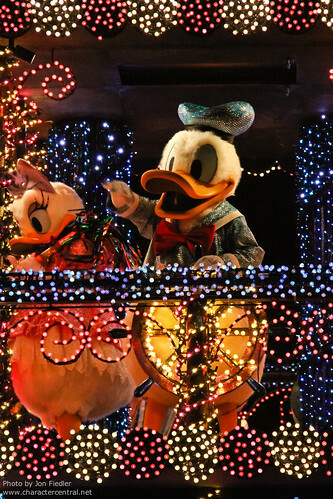 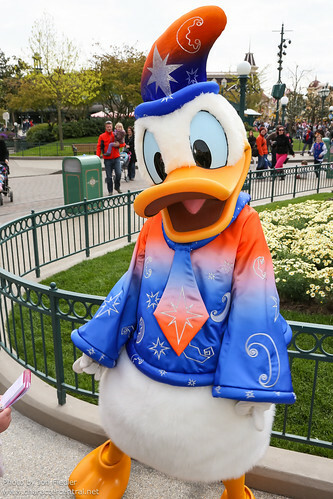 At Disneyland, Donald can be found regularly on Main Street USA. 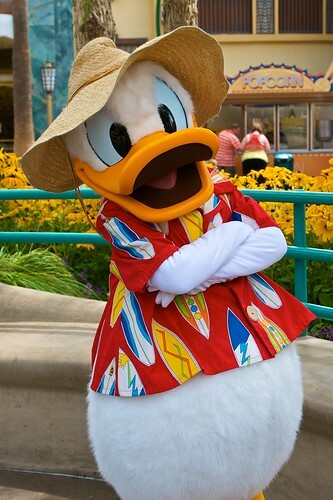 At DCA he greets on Buena Vista Street. 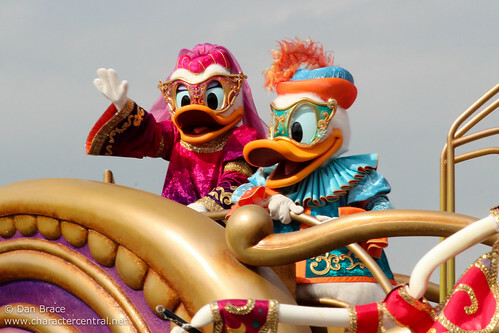 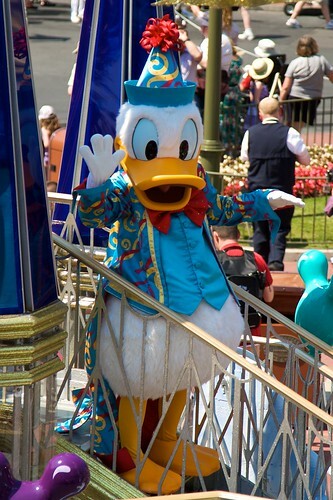 In Disneyland Paris Donald can be found pretty much randomly in any land (Fantasyland, Adventureland)! 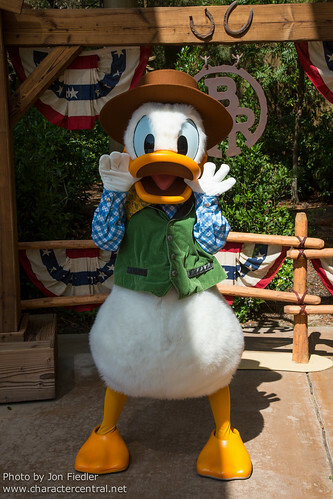 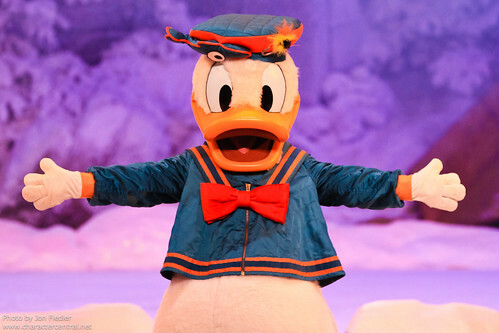 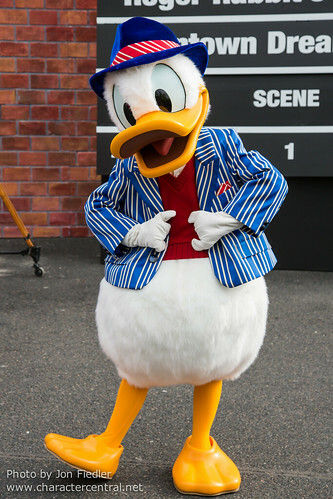 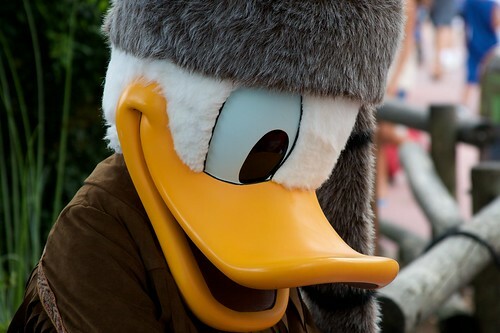 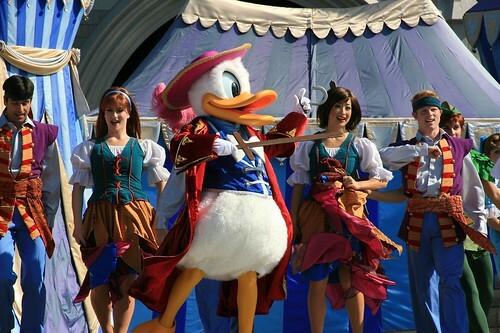 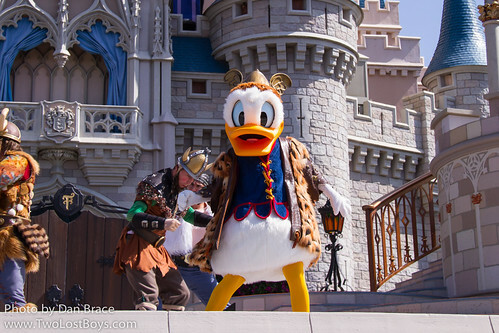 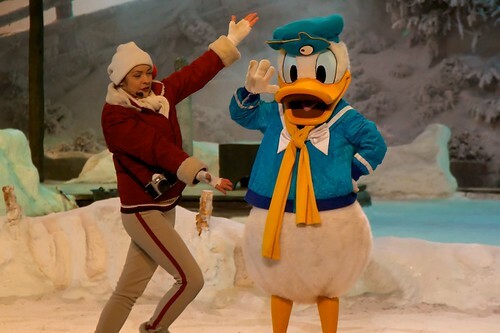 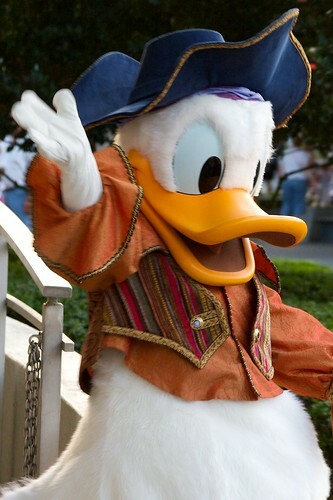 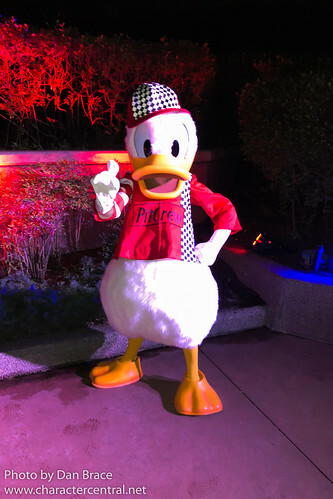 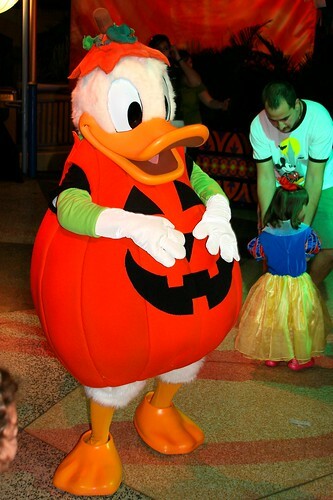 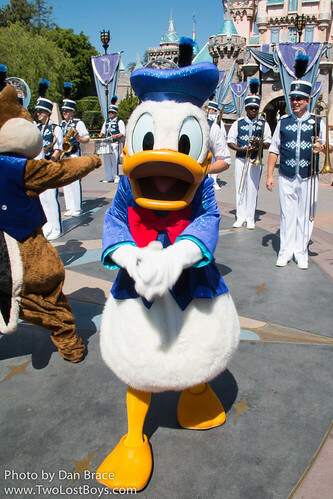 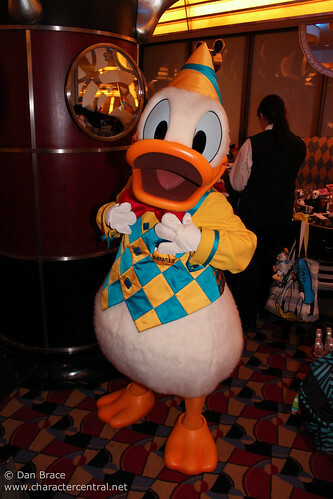 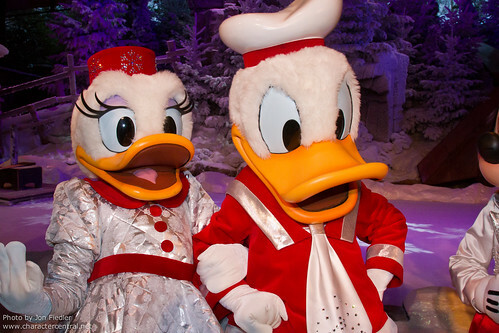 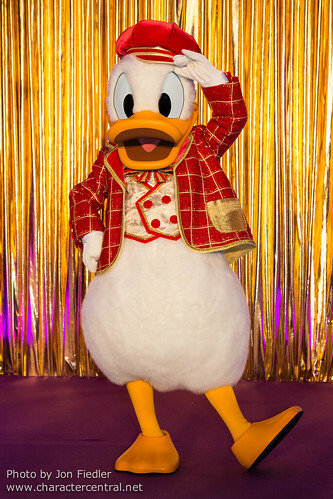 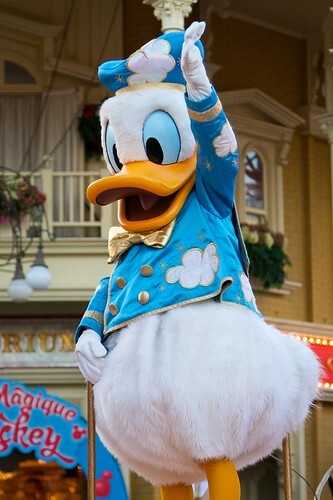 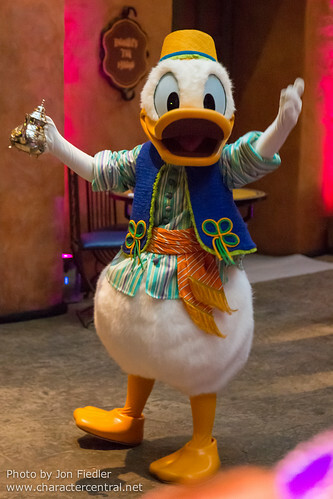 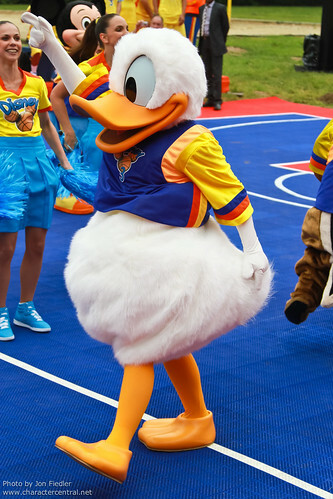 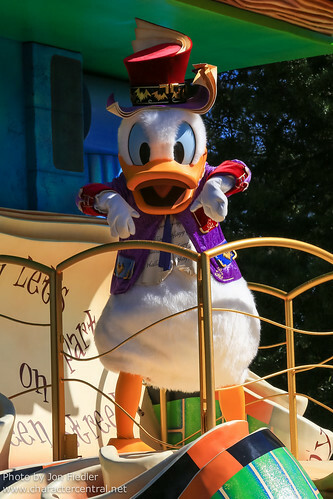 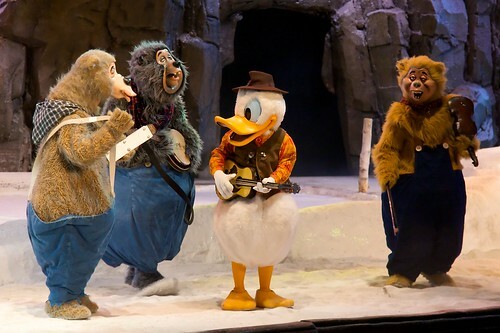 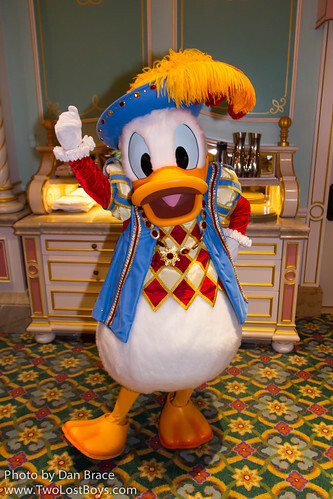 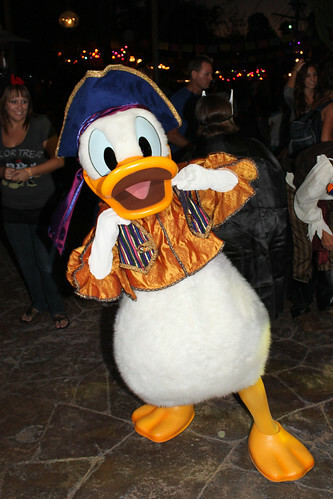 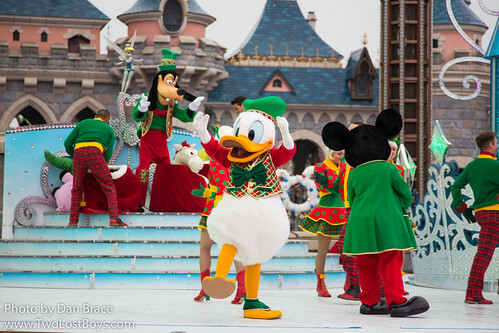 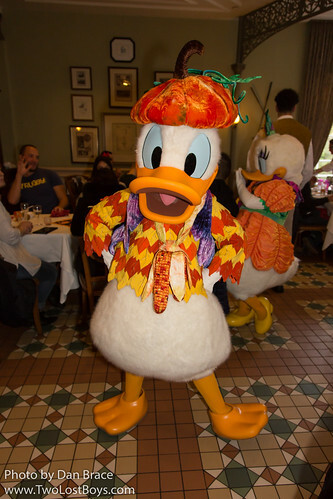 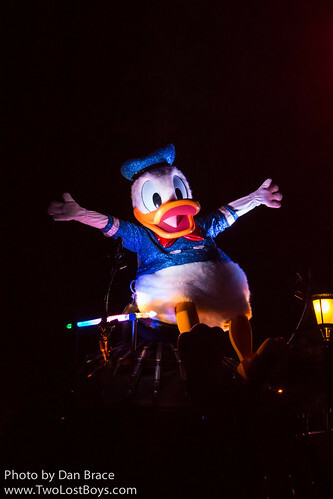 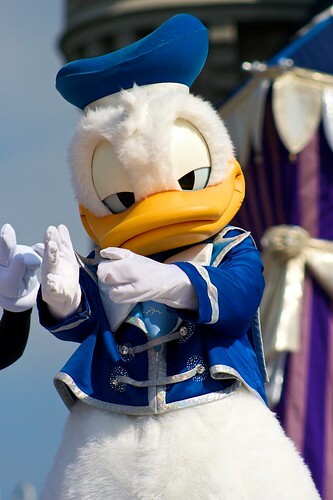 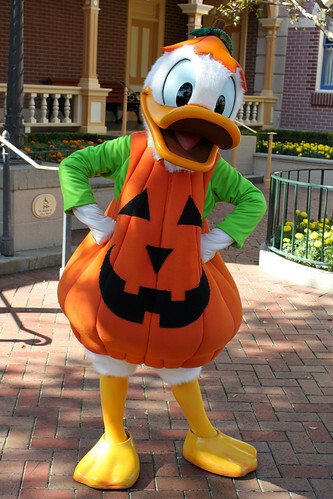 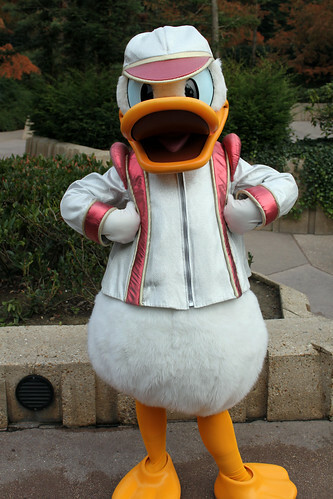 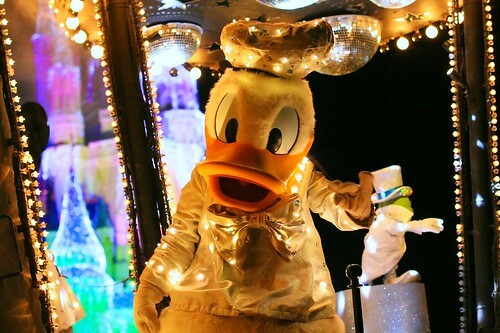 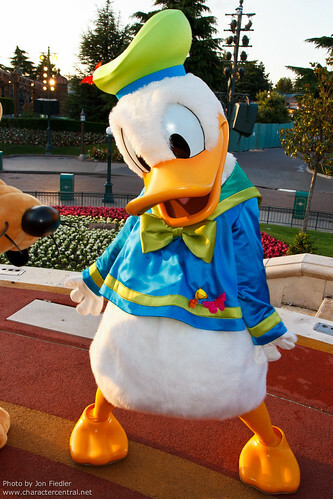 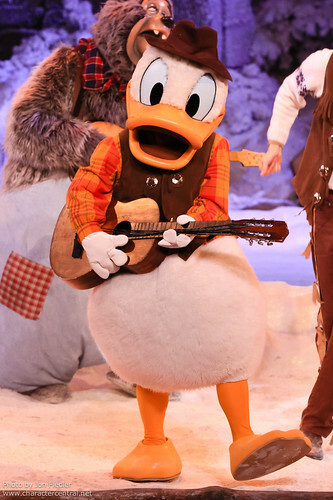 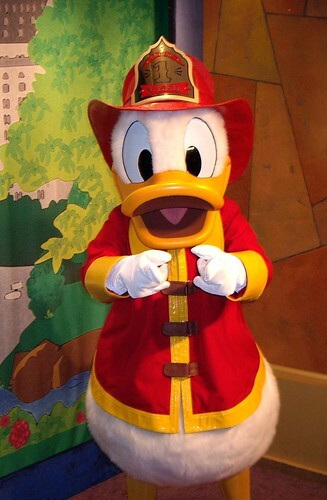 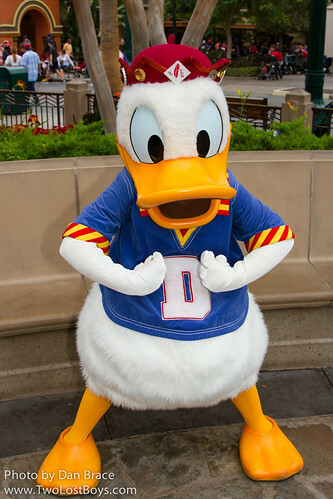 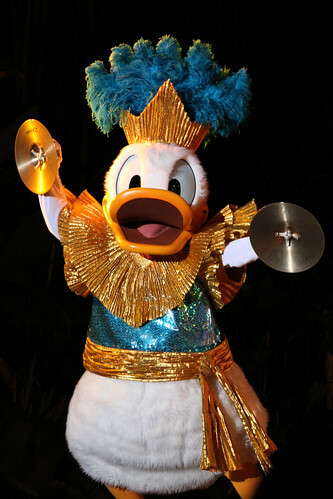 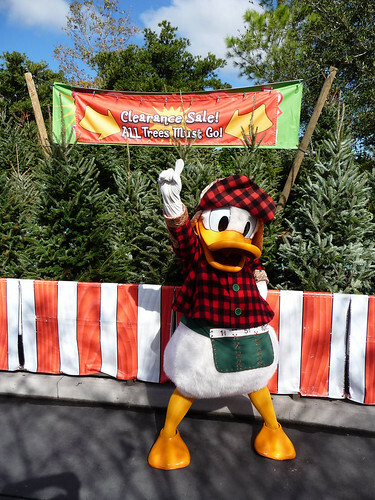 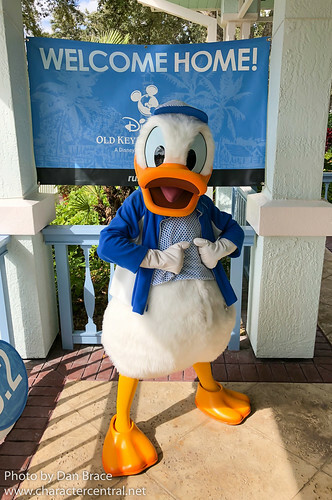 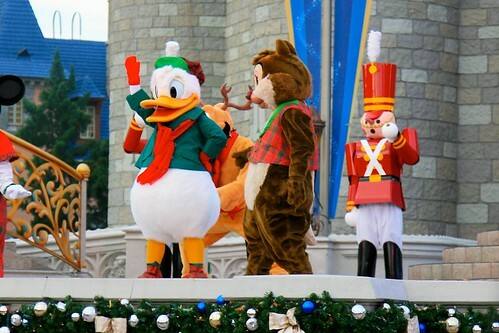 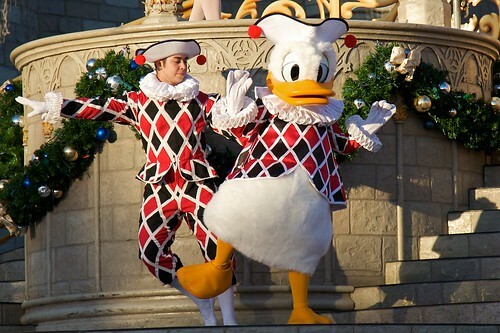 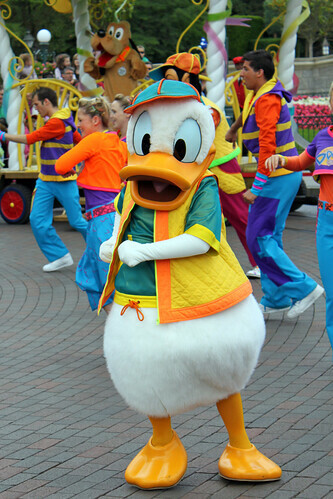 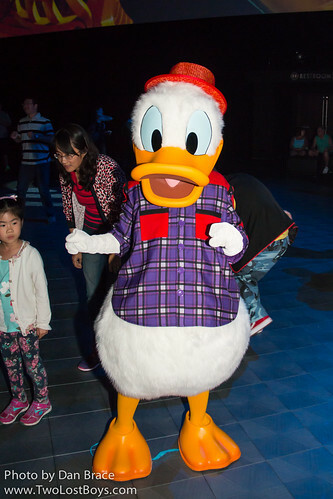 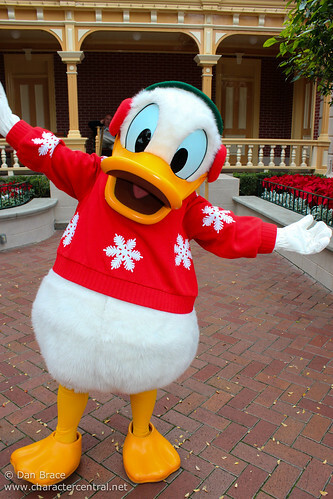 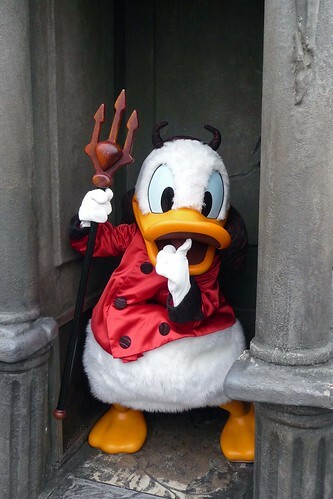 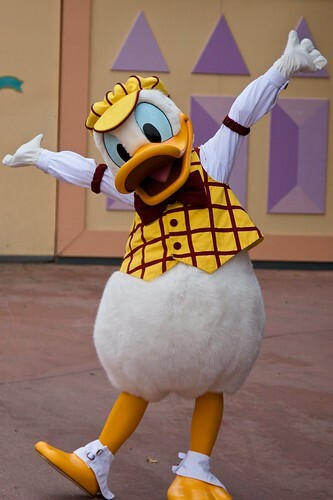 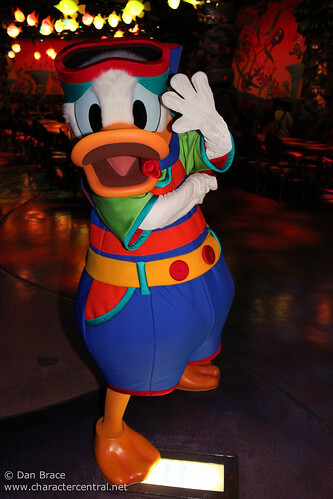 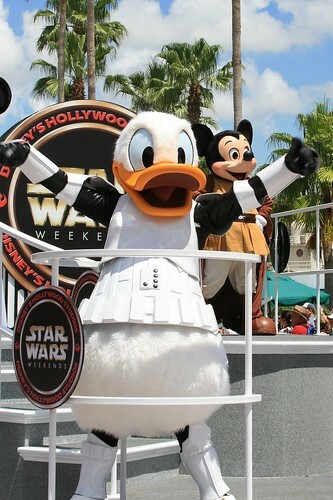 Donald also can appear in Production Courtyard in the Studios. 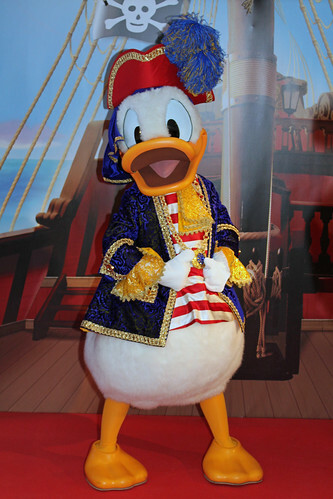 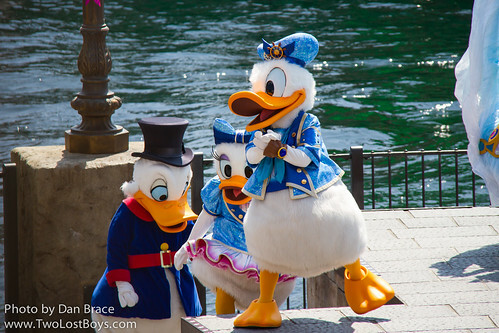 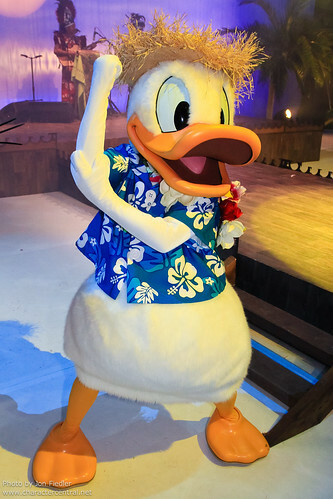 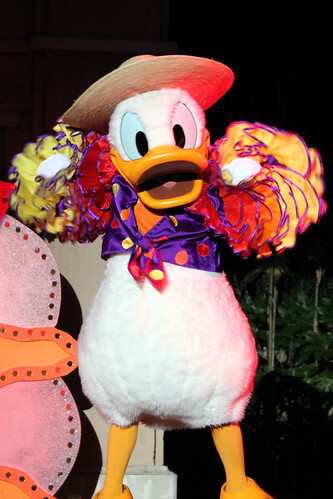 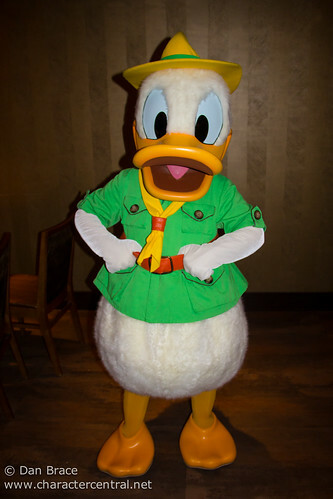 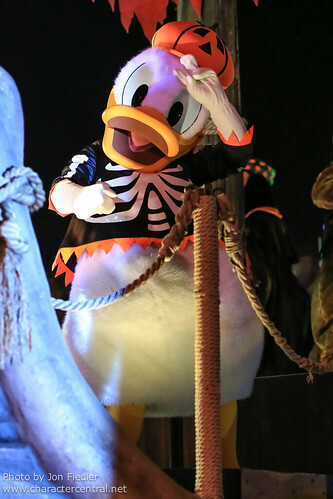 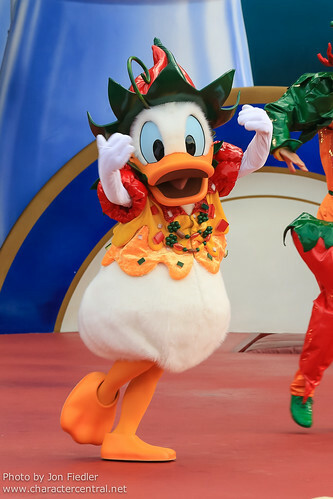 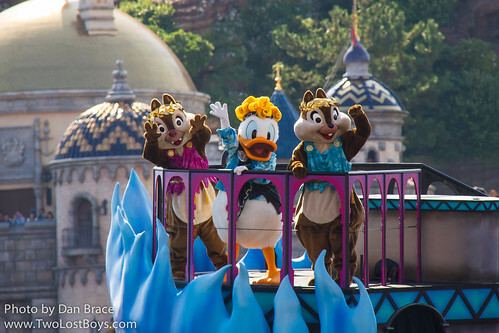 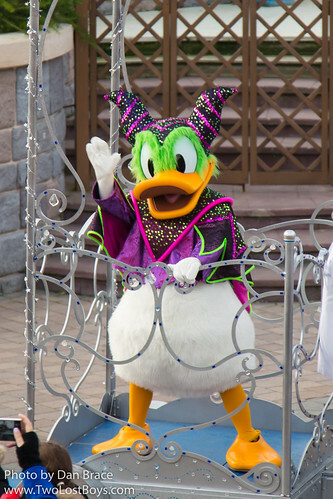 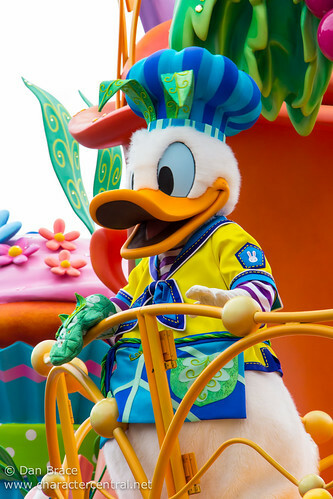 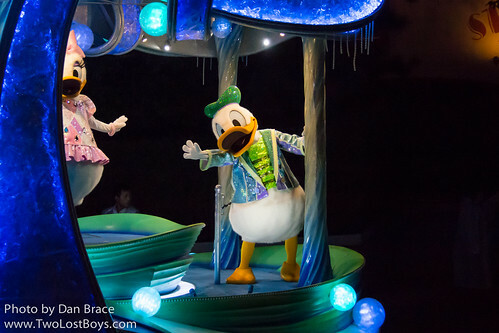 In Tokyo Disneyland, Donald can be found mainly in World Bazaar, Camp Woodchuck in Westernland, and American Waterfront, but he also appears in many other places all the time, such as Mermaid Lagoon. 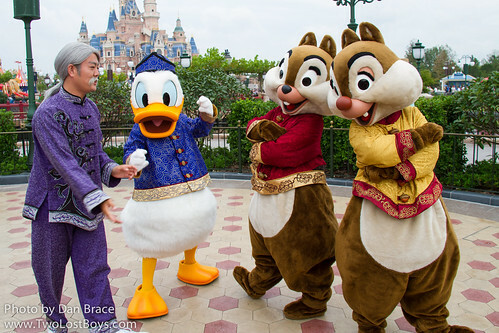 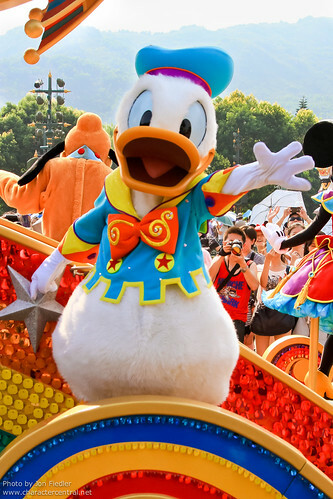 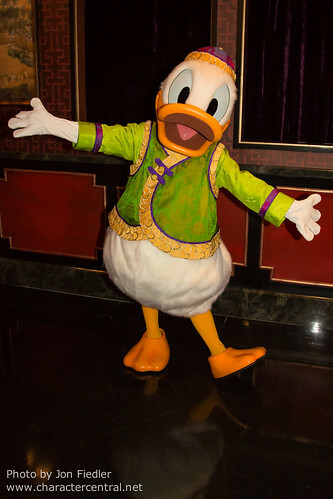 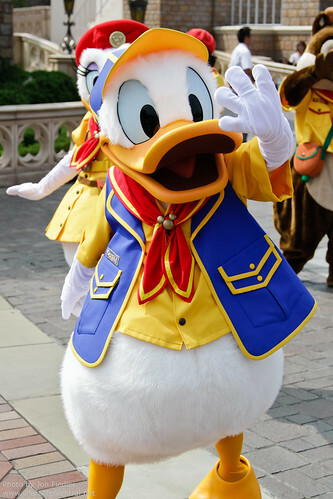 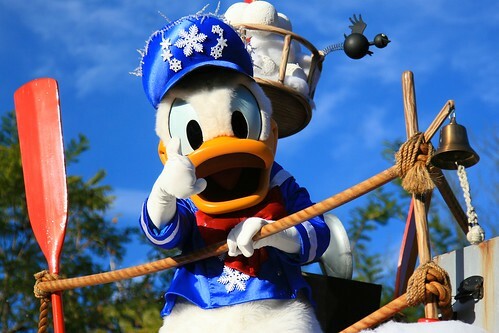 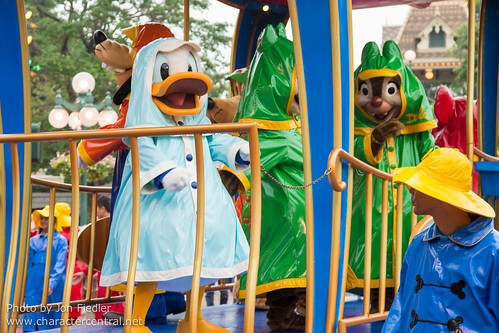 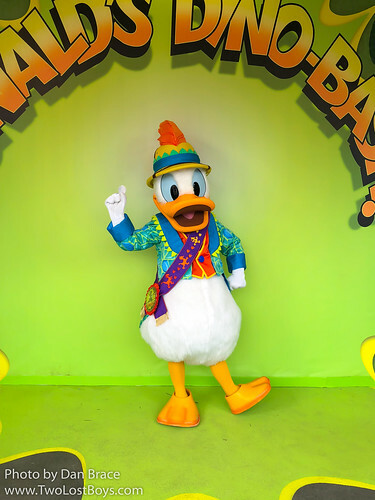 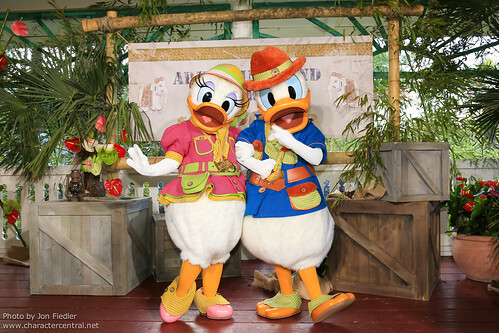 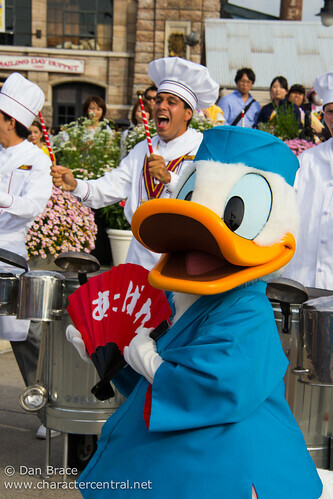 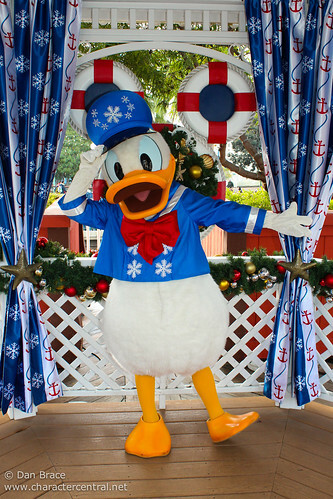 In Hong Kong Disneyland you are most likely to find Donald on Main Street or at the Fantasy Gardens character greeting area. 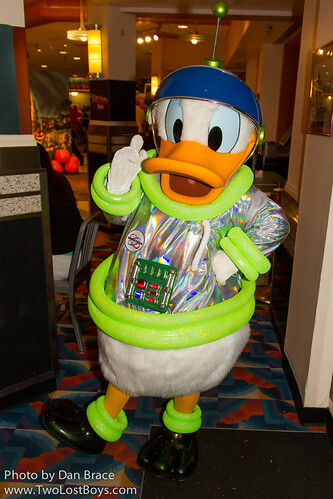 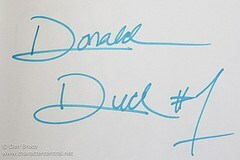 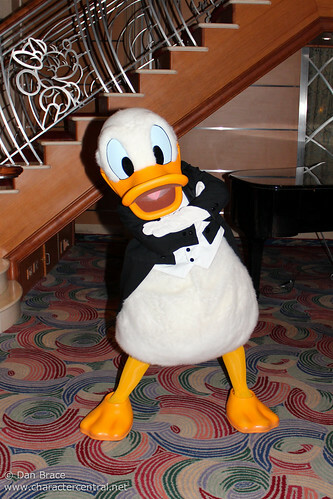 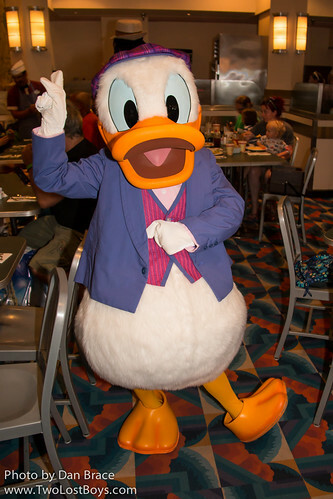 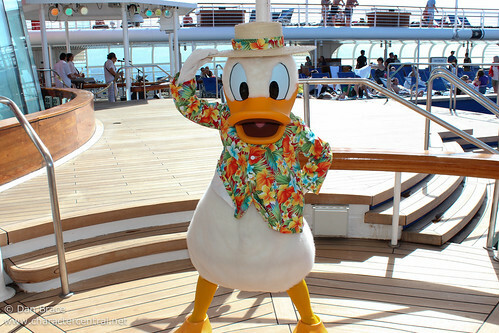 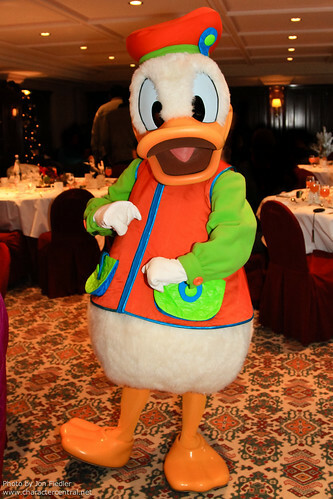 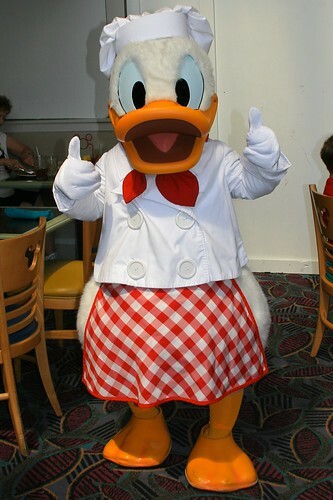 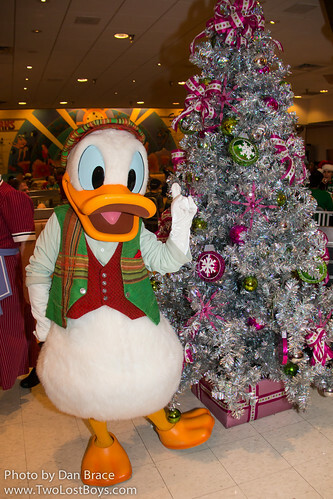 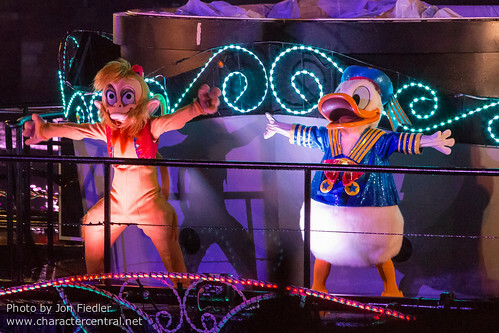 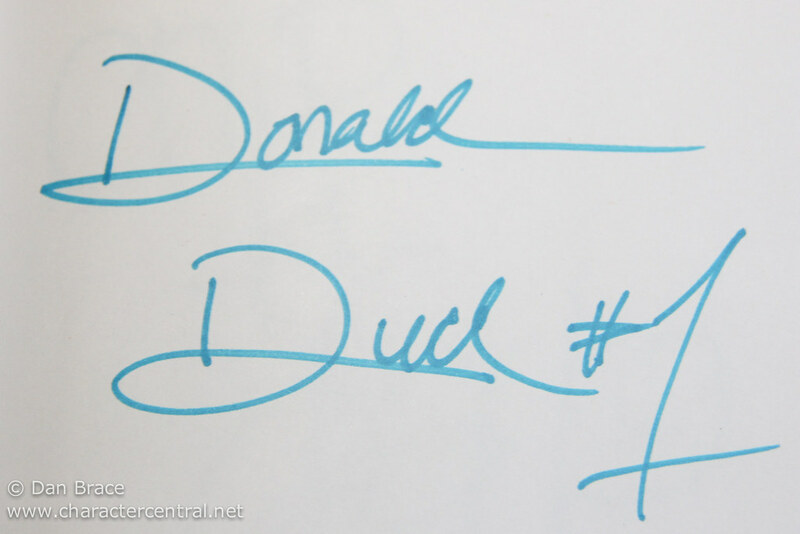 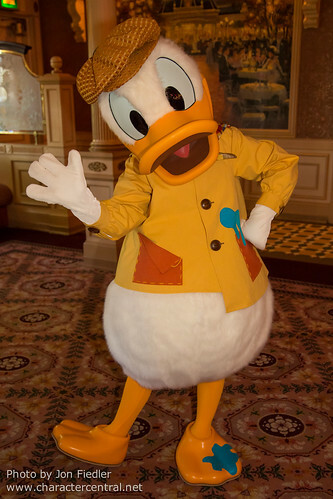 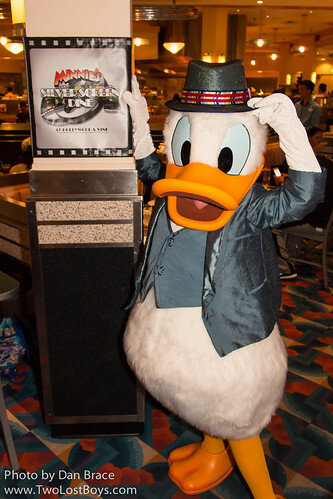 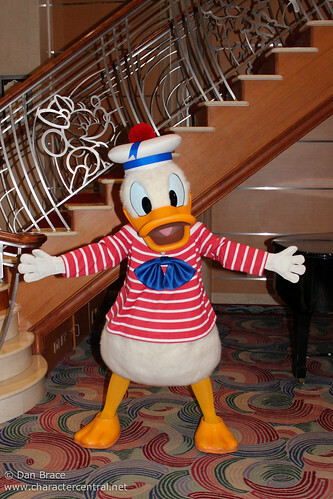 On the Cruise Line, Donald appears at select times throughout the sailings. 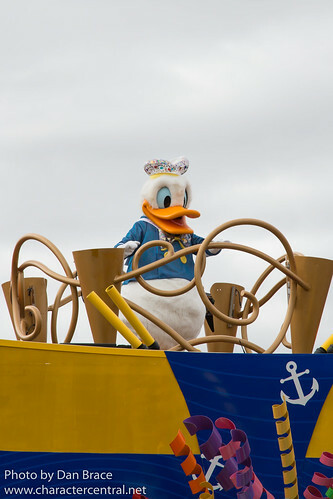 Check your Personal Navigator for details. 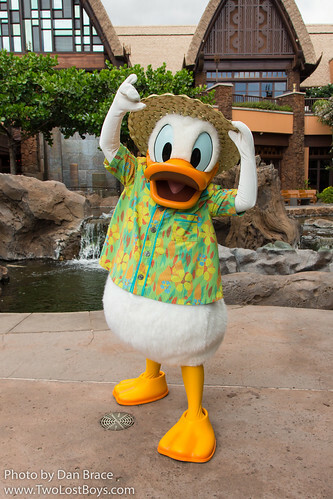 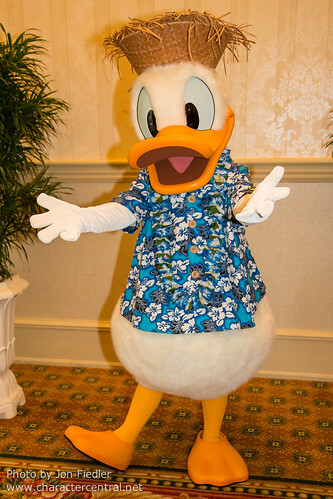 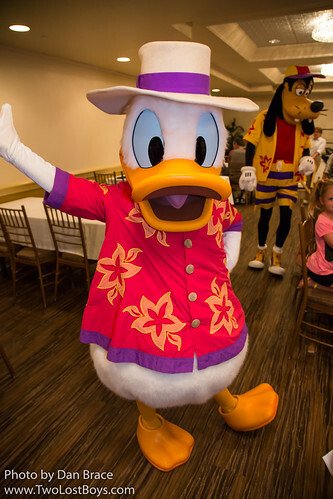 At Disney Aulani Donald can be found around the Waikohole Valley intermittently throughout the week.